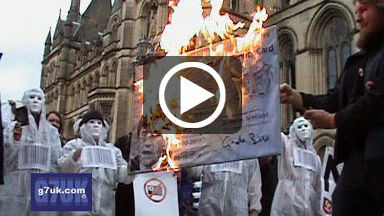 ::G7uk.com: photography, video, news and features from Manchester, UK. On Friday 3 June 2011 cyclists gathered at All Saints Park in Manchester for the city's 6th World Naked Bike Ride. Those who took part were invited to ride "as bare as you dare". Watch: Flash (h.264/mp4) | Windows Media (good for older PCs). 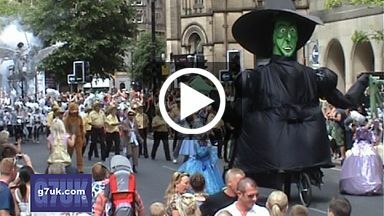 A six-minute video showing some of the highlights from the first Manchester Day Parade. It happened on a hot and sunny Sunday afternoon in June 2010. 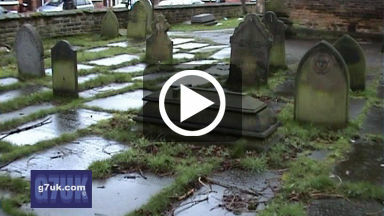 A series of videos on YouTube have claimed that a graveyard has been bulldozed to make way for a car-park. The site is the former St. John's church in Longsight, Manchester, which is now a mosque and Islamic centre. I went along to take a look for myself. More information, links, visitor comments and the latest updates in my blog post about this. There was a ten-minute firework display at midnight. I broadcast live on blogtv for about an hour from my kitchen which overlooks the city centre. 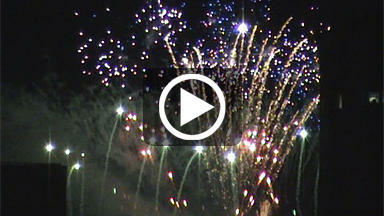 You can watch the display sequence here. The video includes an interview with the national co-ordinator of NO2ID. 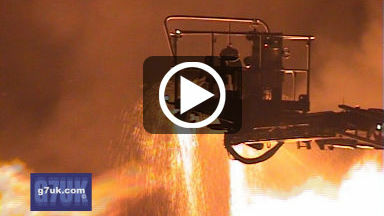 Seventy firefighters attended the blaze. But none of the mainstream media could be bothered going along to get any video of it. Luckily the g7uk 'news bike' peddled over to take a look! 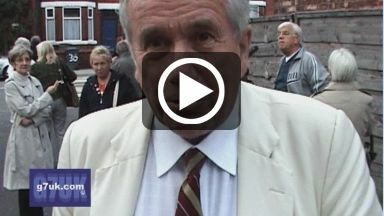 Veteran BBC war reporter Martin Bell was the guest speaker at a 'Hazel Must Go' meeting held in Eccles on 16 September 2009. Watch my exclusive interview in which Martin Bell reveals whether he will stand against local Member of Parliament Hazel Blears at the coming General Election (g7uk scooped the BBC and Granada on this by at least three hours!). Campaigners want Blears to stand down before the election. They are angry about her abuse of the MPs' expenses system and her record on local issues. Plus a video of Martin Bell's main speech is now available too. Cyclists dared to bare all in chilly conditions on Friday 13 June at Manchester's third annual Naked Bike Ride. We asked the cheeky riders and members of the public what they thought. 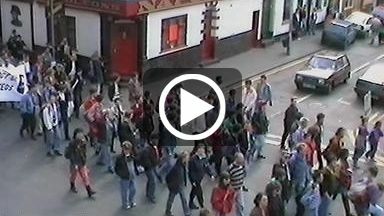 Videos from other years can be found here: 2007, 2011, 2012. Video of a cake contest and Punch and Judy at the Sackville Park Village Fete in 2007. Come with us back to Manchester in 1991 when the Lesbian, Gay, Bi and Transgender community marched through the city centre to demand equal rights. Quite a shock for the general public in those days before Queer As Folk and Manchester Pride.